Mr. Harold S. McDonald, age 64, of Montrose, passed away suddenly on February 1, 2019. 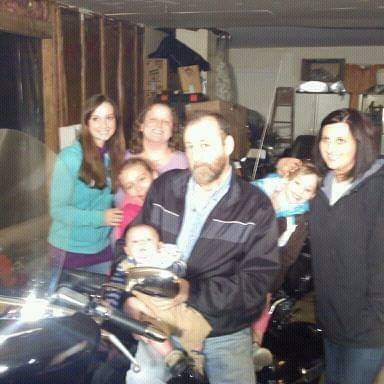 Beloved father of Alissa Walker, Amanda (Lee) Javor , Erica (Garrett) Stewart and Sabrina McConnell. Dear grandpa of Delaney, Paige, Gage, Catlin, Kristen, Makenzie, Carter and Carson, great great grandpa of Taylin. Loving brother of Linda Powell, Kay Moquin, Delbert McDonald and Larry Johnson. Harold also leaves his former spouse and mother of his children; Branda McDonald, as well as; leaves many nieces, nephews and loving friends. He is predeceased by his parents; Lewis McDonald and Catherine Johnson Hollis and his siblings; Ray “Doug” McDonald and Michael “Mike” McDonald. Funeral services will take place on Friday 11am at Temrowski Family Funeral Home, 500 Main St., Fenton. Friends may visit Thursday evening from 4-7pm. Contributions may be made to his family to care for the homeless cats he fed and sheltered, C/O Alissa Walker.